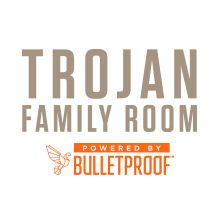 The Trojan Family Room, powered by Bulletproof Coffee is the newest addition to the Ronald Tutor Campus Center. This new coffee bar, located within the Steven and Kathryn Sample Hall Admission Center, brings a new experience to your coffee routine. Enjoy the most satisfying, energizing cup of coffee you’ve ever had. Bulletproof Coffee powers the mind and body, perfect for entrepreneurs, executives, students and anyone that wants to perform better. On tap we feature Humm and GT’s Kombucha teas along with Solti organic pressed juices, designed with only the highest quality organic produce, super foods and herbs. California Pizza Kitchen offers a range of made-to-order, dishes, from signature California-style hearth-baked pizzas and creative salads to pastas, soups and sandwiches. CPK's signature dish, The Original BBQ Chicken Pizza is part of an imaginative line of pizzas featuring flavors and tastes from around the world including Thai Chicken, Chicken-Tequila Fettuccine, and The Original BBQ chicken Chopped Salad, CPK at USC also serves a variety of focaccia sandwiches. Want to Wait Less and Live More? Order ahead through Tapingo! The Coffee Bean & Tea Leaf at the Ronald Tutor Campus Center is one of two CBTL locations at UPC. This venue is in the center of campus and features all of the deliciously made iced, hot and blended beverages as well as tasty snacks and pastries that followers of the brand enjoy the most. The location also offers Kosher selections. Don’t want to wait? Order ahead using the Tapingo app on your mobile device. The Habit features freshly prepared charbroiled burgers along with beach-inspired fare like fresh grilled albacore sandwiches made from line-caught tuna hand-filleted in the restaurant each day; chicken sandwiches simply grilled and topped with avocado and crisp bacon; and, fresh salads. Located on the ground floor of the Ronald Tutor Campus Center, Seeds Marketplace offers delicious salads, handcrafted sandwiches, homestyle hot entrées and desserts. Stock up on items for your dorm or office with the many selections of snacks, beverages and produce available at Seeds Marketplace. NEW! Cafe Gratitude Grab & Go available! USC’s newest Starbucks location is ready to welcome you to take a seat, sit back and relax! This location offers an expansive seating area that is perfect for late night study groups, an afternoon chat or post-work "pick-me-up”. We proudly offer the world’s best known coffee, prepared just the way you like it. Get your usual favorite, or let one of our certified baristas get you hooked on a new creation. Located in the Dr. Verna and Peter Dauterive Hall, the Joyce J. Cammilleri Café is a favorite spot for coffee, tea and iced coffee beverages on the south side of campus (Near Gate 2). Guests can enjoy deliciously prepared “grab and go” sandwiches and salads from the University Club as well as an extensive offering of gourmet pastries. Be sure to ask about our fruit infused tea of the day during your next visit. 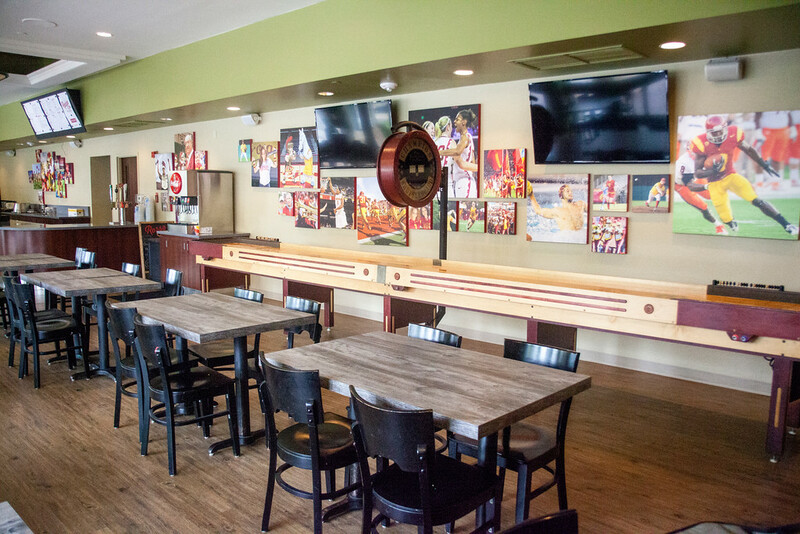 The Coffee Bean & Tea Leaf at the George Lucas School of Cinematic Arts is the ideal social gathering place, featuring a warm and inviting décor with a dual fireplace as well as outdoor seating overlooking the courtyard. Our skillful barista’s will craft your coffee, tea or ice blended beverage to perfection on every visit so you can enjoy the full Coffee Bean & Tea Leaf Experience. Nestled on the first level of the new Jill and Frank Fertitta Hall, this cafe was created in collaboration with the Marshall School of Business and serves as a festive location for dining and networking. 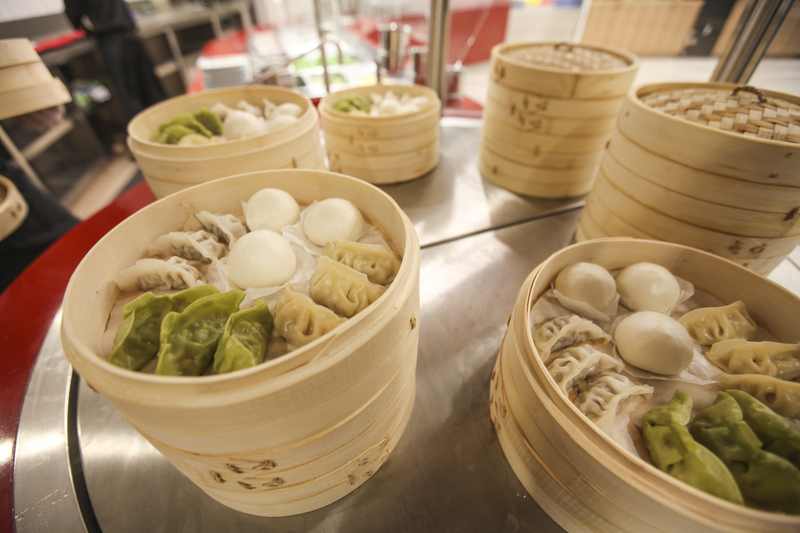 The menu features Bao, Banh mi, Dim Sum, Asian Salads, Noodle and Rice Bowls and an expansive Sushi Bar. USC Hospitality has partnered with Athletics and now manages its premier dining facility, Little Galen. Little Galen is conveniently located within the complex that includes the iconic Heritage Hall building, the new John McKay Center and near the Loker Track Stadium and McDonald’s Swim Stadium. Little Galen is open for breakfast and lunch service Monday – Friday. All menu selections are health consciously prepared and feature premium ingredients - grass-fed beef, antibiotic free poultry, sustainably farmed fish and local produce. There are many choices including grill items, handcrafted sandwiches, wraps, salad bar and special hot entrées. Be sure to check out the home-style chili on Wednesday! You can also start the day right with a hearty breakfast with a made-to-order omelette and other morning favorites. Little Galen is open to the public. The newly renovated Popovich Hall has a new menu featuring Mediterranean inspired sandwiches, wraps and salads. Delicious pastries from Portos, a favorite local Cuban bakery are available. In partnership with Sambazon, several signature organic Acai bowls with a variety of tasty toppings serve as a healthy meal alternative. illy is the coffee purveyor. Popovich Cafe is located on the first floor of Popovich Hall. No time to wait? Order ahead through Tapingo and pick up your items at the walk-up window on Child's Way. Starbucks at Trojan Grounds is the only USC Hospitality venue that’s open 24/7. Also known as “TroGro” or “the student filling station,” Trojan Grounds is stuffed full of enough coffee, sundries, munchies, and grab & go meals to keep your study groups fueled all night for mid-terms or finals. Come and savor the International flavors with the new menu selections at Tutor Café. Authentic Indian Cuisine, Japanese Noodle Bowls and Banh Mi are just a few of the hot items available at our specialty café at the Viterbi School of Engineering. With indoor and patio seating surrounding a beautiful water feature, Tutor Café is conveniently located near Parking Structure A and the residences at Parkside. We are pleased to announce the addition of DRNK Coffee and Tea to the beverage lineup at Tutor Hall Café.